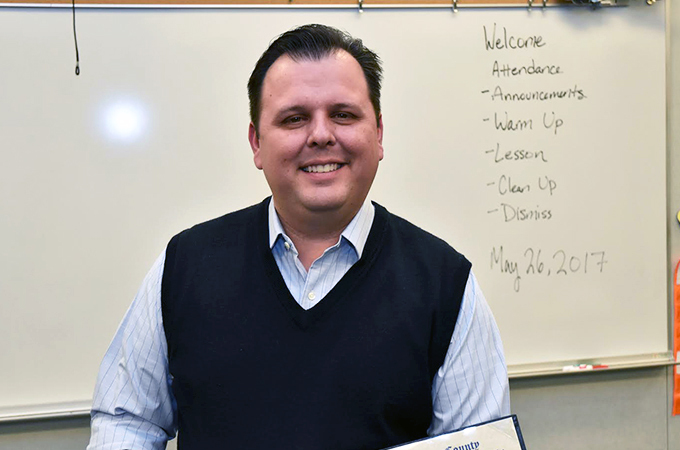 After four years of excelling as the director of bands and choirs at Painted Hills Middle School in Desert Hot Springs, Calif., Brian McDaniel was named a California Teacher of the Year. After four years of excelling as the director of bands and choirs at Painted Hills Middle School in Desert Hot Springs, Calif., McDaniel was named a Riverside County Teacher of the Year in May 2017. “I’m still in shock,” he says. This week, McDaniel was named a California Teacher of the Year—one of only five to receive the designation this year—and will be nominated by the state for the National Teacher of the Year award. 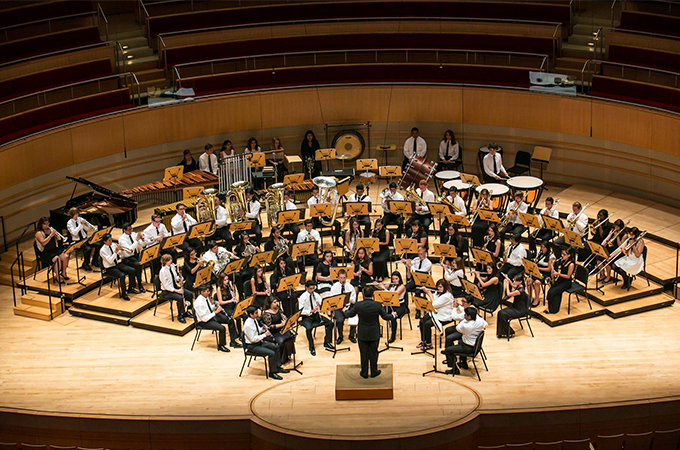 Under his direction, the music program has grown from 75 to 225 students, and student performances have earned awards in competitions every year. McDaniel says that a secret to the program’s success is expanding his students’ horizons. “There’s so much research that proves that participation in music helps increase language and mathematics skills,” says McDaniel, seen here conducting a student orchestra at Segerstrom Concert Hall. McDaniel says he knew the doctoral program at the University of Redlands would challenge him, and he was not disappointed.